What did he do with his magic? aaaaaannnnnd here comes danyel to the rescue!!!!! 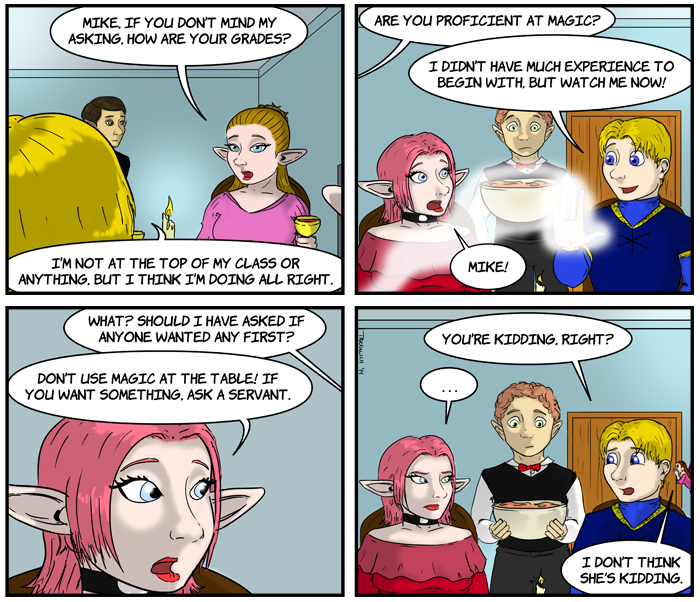 I can see why magic is frowned upon at the dinner-table though. Servants or not. If two magical effects are going for the same bottle of wine, things could get messy.